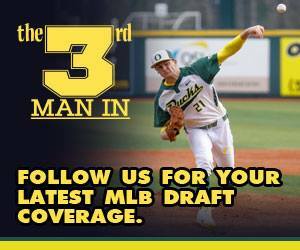 The3rdManIn.com’s Dan Zielinski joins the Wendy’s Big Show to recap the 2018 MLB draft. The hosts of the SportsRadio 105.7 FM The Fan weekday afternoon show are Steve “Sparky” Fifer, Ramie Makhlouf, Gary Ellerson and LeRoy Butler. Ellerson and Butler played in the NFL for the Green Bay Packers. The3rdManIn.com’s Dan Zielinski joins Tim Allen and Bill Schmid on the SportsRadio 105.7 FM The Fan Brewers Pregame Show to recap the 2017 MLB draft. The3rdManIn.com’s Dan Zielinski co-hosts the Brewers Postgame Show with Tim Allen and discusses the 2017 MLB draft on SportsRadio 105.7 FM The Fan. The3rdManIn.com’s Dan Zielinski III joins SportsRadio 105.7 FM The Fan’s Tim Allen in studio on the Milwaukee Baseball Postgame Show to discuss Day No. 2 of the MLB draft. The3rdManIn.com’s Dan Zielinski III joins SportsRadio 105.7 FM The Fan’s Tim Allen on the Milwaukee Baseball Pregame Show to discuss the MLB draft. The3rdManIn.com’s Dan Zielinski III joins SportsRadio 105.7 FM The Fan’s Tim Allen on the Milwaukee Baseball Postgame Show to discuss the MLB draft.